Thank’s for visiting BAV’s Site. The Best Time to Partner & Start Self-Building is with BAV Ltd.
BAV ltd has the Kit technology to support your every build. BAV Ltd are working with UK’s Biggest and Best for Years, they all get the great deal with BAV M1 TRAN-TRACK passenger Systems. Can we help your group build better and in budget ? The Kit Technology is fantastic and so easy to install, further the kits have all the certified parts in along with a step by step instruction. 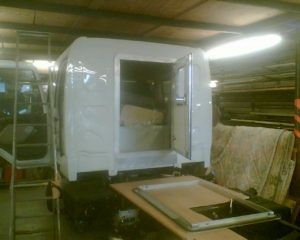 Because BAV ltd hold a great tonnage in stock a 3 day UK delivery is the normal with seats following on 7 days later . 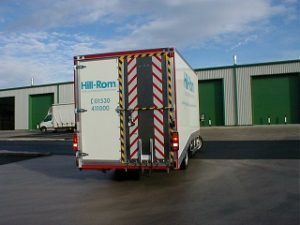 Master Coach Builder Graham Hardman years experience in HGV & LCV vehicles . 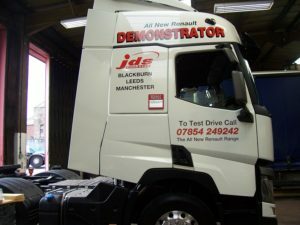 Graham is MD and 100% owner of Build-A-Van Ltd in Nelson Lancashire a Commercial Vehicle Body Shop that is well-known for quality patented innovation and partners many Vehicle Builders & Motor Agents ,DIY & TRADE for LCV & HGV construction. 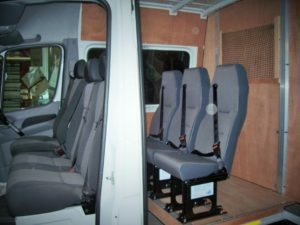 BAV Ltd exclusively sole manufactures the TRAN-TRACK M1 N1 IVA MOT Compliant Passenger Seat Anchor Systems from it Nelson Factory in Lancashire BB9 0HZ in the North West of UK. 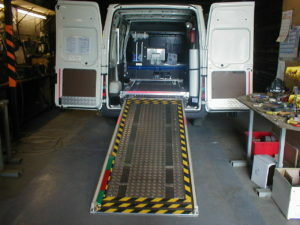 BAV Ltd has developed and certified the TRAN-TRACK systems have been successfully and are fully compliant . STATUS independently Crash Tested with and on VCA equipment to M1 M2 M3 N1 Crash Fit Certified in vehicle and partner plate to UK’s VSE87/1 that is UK’s ISO equivalent. BAV Ltd holds an increasing tonnage stock for over 500 customer kits offering quick delivery in just a couple of days. 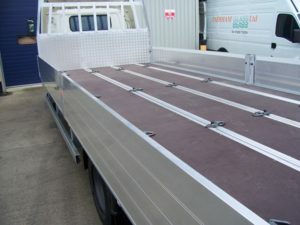 The Certified Base are also supported with major accredited seat manufactures offering many in-system certified support advantages when IVA & MOT presenting your New or Used LCV & HGV VOSA inspections. 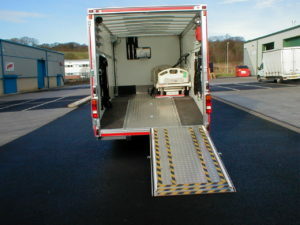 BAV accredited builders of Police & Ambulance manufacturers in the UK & EC can have a modular base made up and pre-cut, drilled to your own drawings, further all kit systems include all the Seat to floor & floor to vehicle fasteners along with our M1 under floor Galvanised blanks that simply bend to any chassis size as shown in our accredited Step by Step instructions in HOW IT WORKS menu at top of page. 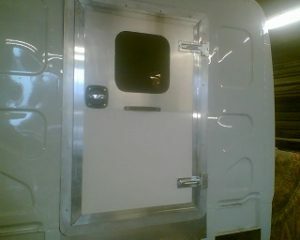 18 tonne Renault Vehicle Chassis BAV’s Rear Crew Cab Door.